Nowadays a lot of modern technologies are used in schools as well as 3D printing technologies. 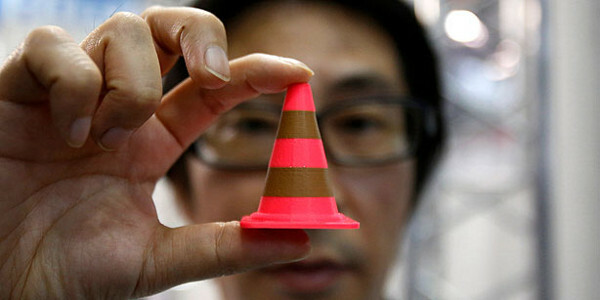 Recently the Japanese government announced their plans to support the use of 3D printers in education process. The government hopes that it will help kids to receive hands-on experience in learning about 3D data and 3D printing technology in common. Japan hopes that it will also help them to compete with other countries like the U.S., Britain and Australia where 3D printing technologies are already included in the school program. By the way, in the U.S. plans to introduce 3D printing in schools have been underway since 2010. This summer, the Japanese Economy, Trade, and Industry Ministry (METI) will choose several universities and technical schools to receive a subsidy for two-thirds of their expenses related to the introduction of 3D printing technology into their schools. The ministry’s plans include a goal to reach select middle and high schools by the 2015 fiscal year. Currently 3D printing technologies are being wildly used in Japan not only in big industries but also in medium-sized and small enterprises. The Japanese economic ministry sees 3D printing technology as playing a central role in the future of cutting-edge manufacturing worldwide, and this decision to fund 3D printing in educational settings is in line with that vision. METI included 4.5 billion yen (about 44 million US Dollars) in the year 2014 budget to support research and development to manufacture metal products using 3D printing technology. The economy ministry estimates the economic ripple effects from products made with 3-D printers worldwide will reach ¥2.2 trillion in 2020. The minister hopes the funding will foster students’ design and manufacturing skills to help Japan stay on top of technological trends in and developments in 3D printing.